The Maggio Musicale Fiorentino (English: Florence Musical May) is an annual Italian arts festival in Florence, including a notable opera festival, under the auspices of the Opera di Firenze. The festival occurs between late April into June annually, typically with four operas. In April 1933, Vittorio Gui founded the festival, with the aim of presenting contemporary and forgotten operas in visually dramatic productions. It was the first music festival in Italy. The first opera presented was Verdi's early Nabucco , his early operas then being rarely staged. The first festival's success, which included two performances of Spontini's La Vestale with Rosa Ponselle, led to it becoming a biennial event in 1937 with the presentation of nine operas. After 1937, it became an annual festival, except during World War II. Performances took place in the Teatro Comunale and Piccolo Teatro, plus the Teatro della Pergola. A new opera house, the Teatro dell'Opera di Firenze, was inaugurated in 2011 and permanently replaced the former Teatro Comunale in 2014. Vittorio Gui was an Italian conductor, composer, musicologist and critic. Giuseppe Fortunino Francesco Verdi was an Italian opera composer. He was born near Busseto to a provincial family of moderate means, and developed a musical education with the help of a local patron. Verdi came to dominate the Italian opera scene after the era of Vincenzo Bellini, Gaetano Donizetti, and Gioachino Rossini, whose works significantly influenced him. By his 30s, he had become one of the pre-eminent opera composers in history. Mario Rossi was an Italian conductor, noted for his solid and meticulous readings of a repertory ranging from Italian classics to Russian moderns such as Prokofiev, to the German operatic classicist Christoph Willibald Gluck. Bruno Bartoletti was an Italian operatic conductor. His active international career lasted from 1953 to 2007, and he specialized in the Italian repertory and contemporary works. He was particularly noted for his 51-year association with Lyric Opera of Chicago, as co-artistic director, artistic director, principal conductor, and artistic director emeritus. He also served as Artistic Director of both the Teatro dell'Opera di Roma (1965–1973) and the Maggio Musicale Fiorentino (1985–1991), and as principal conductor of the Danish Royal Opera (1957–1960), in addition to frequent work as a guest conductor at various major opera houses. Riccardo Muti, is an Italian conductor. He holds two music directorships: the Chicago Symphony Orchestra and the Orchestra Giovanile Luigi Cherubini. Previously he held posts at the Maggio Musicale in Florence, the Philharmonia Orchestra in London, the Philadelphia Orchestra, the Teatro alla Scala in Milan and the Salzburg Whitsun Festival. Muti has been a prolific recording artist and has received dozens of honours, titles, awards and prizes. He is particularly associated with the music of Giuseppe Verdi. Billy Budd, Op. 50, is an opera by Benjamin Britten to a libretto by the English novelist E. M. Forster and Eric Crozier, based on the short novel Billy Budd by Herman Melville. Originally in four acts, it was first performed at the Royal Opera House, London, on 1 December 1951; it was later revised as a two-act opera with a prologue and an epilogue. Macbeth is an opera in four acts by Giuseppe Verdi, with an Italian libretto by Francesco Maria Piave and additions by Andrea Maffei, based on William Shakespeare's play of the same name. Written for the Teatro della Pergola in Florence, it was Verdi's tenth opera and premiered on 14 March 1847. 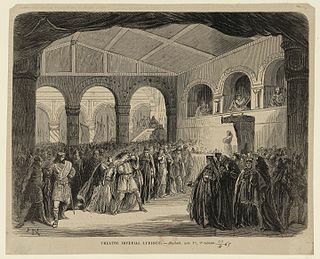 Macbeth was the first Shakespeare play that Verdi adapted for the operatic stage. Almost twenty years later, Macbeth was revised and expanded in a French version and given in Paris on 19 April 1865. Fabio Luisi is an Italian conductor. He is general music director of the Zurich Opera, music director of the Maggio Musicale Fiorentino, and principal conductor of the Danish National Symphony Orchestra. He is scheduled to become music director of the Dallas Symphony Orchestra in 2020. Daniela Dessì was an Italian operatic soprano, born in Genoa. Neil Shicoff is an American opera singer and cantor and known for his lyric tenor singing and his dramatic, emotional acting. Daniel Oren is an Israeli conductor. The Teatro Comunale di Firenze is an opera house in Florence, Italy. It was originally built as the open-air amphitheatre, the Politeama Fiorentino Vittorio Emanuele, which was inaugurated on 17 May 1862 with a production of Donizetti's Lucia di Lammermoor and which seated 6,000 people. It became the focus on cultural life in the city. After closure caused by fire, it reopened in April 1864 and acquired a roof in 1882. By 1911 it had both electricity and heating. Roberto Abbado is an Italian opera and symphonic music conductor. Currently he is Artistic Partner of The Saint Paul Chamber Orchestra. In 2015 he has been appointed Music Director of Palau de les Arts Reina Sofia in Valencia, Spain. From 2018 he's Music Director of the Festival Verdi in Parma. Previously he held the position of Chief Conductor of Münchner Rundfunkorchester. Andrea Molino is an Italian composer and conductor. He has first attracted international attention through a video/music theatre work, Those Who Speak In A Faint Voice, a project about capital punishment, and later through the multimedia music theatre projects CREDO and WINNERS. He has been Musical Director of the Pocket Opera Company Nuremberg (1996–2007). As Artistic Director of the Music Department of Fabrica (2000–2006), he has worked on projects together with Heiner Goebbels, David Moss, Koichi Makigami and others. For the 2007–2008 season he was invited artist at Le Fresnoy, Lille (France). 2009 he was Artistic Director of the World Venice Forum, where he conducted his own multimedia concert Of Flowers And Flames, for the 25th anniversary of the Bhopal disaster, in India. Three Mile Island, on the nuclear accident in Pennsylvania in 1979, was first performed in March 2012 at the ZKM in Karlsruhe; the project received the Music Theatre Now Award 2013. His latest opera, - there is no why here -, was premiered at the Teatro Comunale di Bologna in April 2014 and was presented in May 2015 in Antwerp at deSingel for the Flemish Opera . Recent projects as a conductor include Alban Berg's Wozzeck directed by William Kentridge and Shostakovich's The Nose, directed by Barrie Kosky at the Sydney Opera House for Opera Australia, Szymanowski's Kròl Roger at the Royal Swedish Opera in Stockholm, a Mahler/Messiaen/Strauss program at the Hamer Hall in Melbourne with Thomas Hampson and the Melbourne Symphony Orchestra and Carmen at the Théâtre du Capitole in Toulouse. For Opera Australia he had previously conducted Kròl Roger, Carmen, Tosca and La Bohème, A Masked Ball and Macbeth and Rossini's The Barber of Seville among others. He opened the 2010 concert season of the Teatro La Fenice in Venice with the world premiere of Bruno Maderna’s Requiem. At the Teatro La Fenice he had opened the 2005 edition of the Venice Music Biennale with Heiner Goebbels’ Surrogate Cities and he conducted the world premiere productions of Mosca’s Signor Goldoni (2007) and Ambrosini's Il Killer di Parole (2010). His work is documented on many CDs and on DVDs. Nir Kabaretti is an Israeli orchestra conductor. Marcello Giordani is an Italian operatic tenor who has sung leading roles in opera houses throughout Europe and the United States. He has had a distinguished association with the New York Metropolitan Opera, where he has sung in over 200 performances since his debut there in 1993. Mariella Adani is an Italian classical soprano who had an active career in operas, concerts, and recitals from the 1950s through the 1980s. She has sung under the musical direction of Vittorio Gui, Carlo Maria Giulini, Nino Sanzogno, Oliviero De Fabritiis, and Peter Maag and under the directors Sandro Bolchi, Franco Zeffirelli Luchino Visconti, and Walter Felsenstein. A light lyric soprano, she has particularly excelled in the operas of Wolfgang Amadeus Mozart and Gioachino Rossini. She has also been admired for her performances in Baroque opera. Retired from the stage, she now devotes her time to teaching singing. Susanna Rigacci is a Swedish-born Italian singer/soprano. Lucilla Udovich was an American soprano of Croatian ancestry. Mexican tenor Jesús León is one of the most acclaimed ‘bel canto’ tenors of his generation. His vocal studies began with the Cuban tenor Jesús Li, followed by attendance at the UCLA Opera Studio, the Solti Accademia di Bel Canto, the Boston University Opera Institute and the Domingo-Thornton Young Artist Program at Los Angeles Opera. He also trained in Italy under the direction of legendary soprano Mirella Freni, who granted him the Nicolai Ghiaurov scholarship. Luca Canonici is an Italian opera singer who has had an active career singing leading tenor roles both in Europe and his native Italy. PierLuigi Samaritani was a renowned opera director/production designer, who began his career at a young age, working alongside some of the greatest names in theatre, opera and ballet, such as Lila de Nobili, Giancarlo Menotti, Franco Zeffirelli, Luciano Pavarotti, Mikhail Baryshnikov, Rudolf Nureyev and many more. Samaritani had an enormous talent, which allowed him to take on all the rolls the theatre, opera and ballet demanded, making sure to always be involved in all aspects of his productions even when delegating. From the creation of his "sketches" of the set, which were more like works of art in and of themselves to the smallest change in an extra’s costume, he was a true perfectionist preoccupied with every detail. His productions graced the stage of countless opera houses and theaters, amongst them La Scala di Milano, Teatro Regio of Parma, The Metropolitan Opera House, American Ballet Theatre and the Festival of Two Worlds at Spoleto, where he collaborated for many years, alongside his dear friend, Gian Carlo Menotti. The Teatro Lirico Sperimentale di Spoleto founded in 1947 in Spoleto, by Adriano Belli created a special award carrying the name of Pier Luigi Samaritani, awarded each year to the set designer with the best set design of the opera season. Didone abbandonata is a setting by Leonardo Vinci of the libretto Didone abbandonata by Metastasio first set to music by Domenico Sarro in 1724. It was premiered at the Teatro delle Dame for the 1726 Carnival season in Rome. Maria Mudryak is a Kazakh operatic soprano. Carlo Montanaro is an Italian violinist and conductor. He concentrates on Italian operas from Bel canto to verismo and also conducts selected works from the French repertoire. ↑ "Fabio Luisi Named as Music Director Designate of Florence's Opera di Firenze and Maggio Musicale Fiorentino". Opera News. 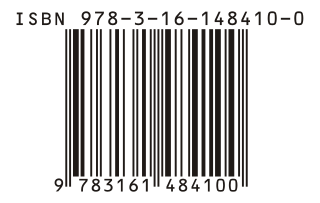 28 January 2016. Retrieved 2018-06-06. ↑ "Florence festival cancels 2 operas". The Seattle Times . 2 March 2009. Retrieved 1 May 2009. This article about an opera company or opera festival is a stub. You can help Wikipedia by expanding it.